Physical, emotional, financial, or sexual abuse never creates space for emotional vulnerabilities in the counseling office. If the relationship is violent at home, it will be nearly impossible to get the couple to be completely vulnerable in the therapy session. Fear will be around, and one or both partners will be worried about saying the wrong thing in counseling for fear of “getting it” later on when they get home. The cycle of abuse must stop before any real healing can take place in couples counseling. 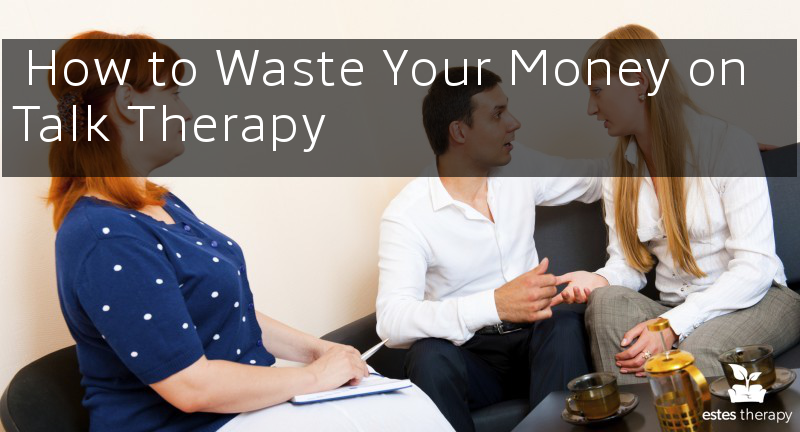 Otherwise, you may waste your money on couples counseling that is not able to be effective. Substance use can act as a numbing agent, never allowing you to have full access to emotions. The substance can act as “the other woman,” always being a priority, pulling you or your partner away from the relationship, creating secrets, and causing a block to be fully vulnerable with one another. The depth of the addiction can affect the severity of how bad the relationship is impacted. Addiction can be an on going, never ending injury in the relationship where one partner will never feel full security and reassurance. The addiction is like lime juice on an open wound. Going to counseling while you have a hidden relationship will only keep you from being fully open and accessible to your partner. Your heart will be split and often we shut our emotions off to the marriage when there is a relationship with an outside person. To really give the couples counseling a true fight, you must cut off all contact and access to the other person. If not, your heart will be caught in a bind. Secrets, hidden behaviors, guilt, and shame will cause you to emotionally detach, and your partner will pick up on the inaccessibility and unresponsiveness. They may not be able to put their finger on whats wrong, but they will pick up on it, and continue to act out and throw bombs on the door to get in to your heart. If you are still in an affair but wish to seek couples counseling, you may need to figure out which direction you want to take first before stepping into to couples therapy – individual counseling can help with this. If you want to start couples counseling but have one of these three A’s in your life, you may want to set up an individual therapy appointment to figure out how to handle the situation. Please pick up the phone and give me a call. I’d be more than happy to discuss the best steps for you and your situation. (619) 558-0001.